We are located in the heart of Palermo, between the historical market Vuciria and root of Sicilian tradition and history. 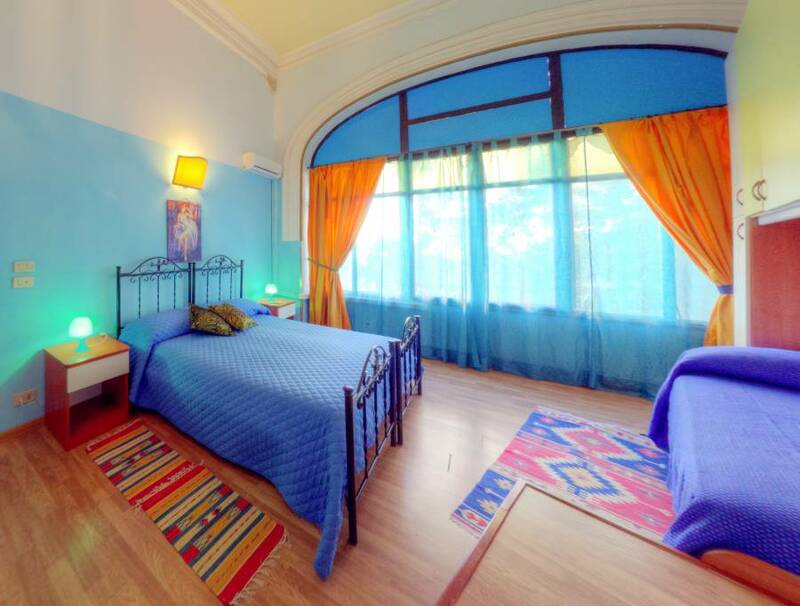 Hostel is great starting point for exploring treasures that Palermo. Everything that you may care to see is within a walking distance from our place. House in which our hostel is situated in mid-18h century Theatre . Building is surrouded by historical houses. 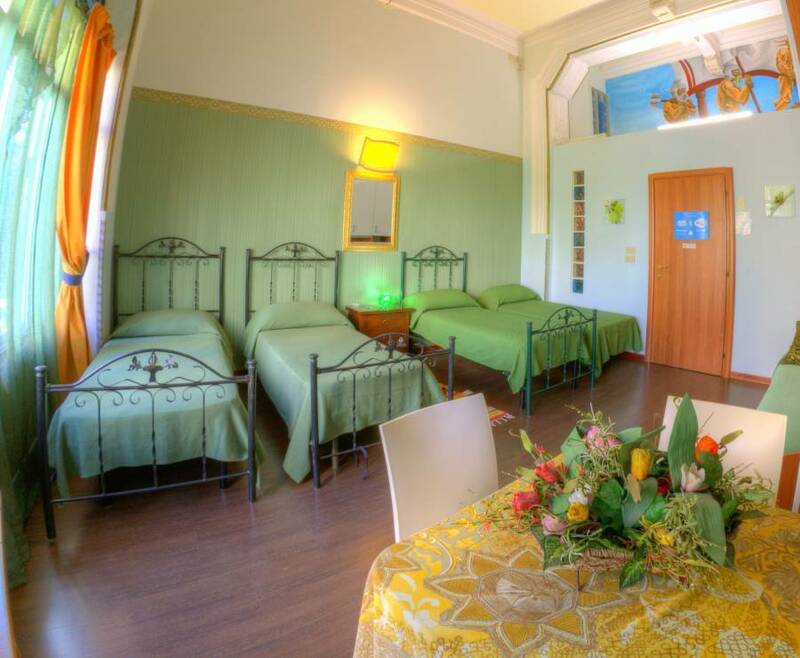 Hostel Agata can sisted of big rooms located on the first floor with typical hostel standard. 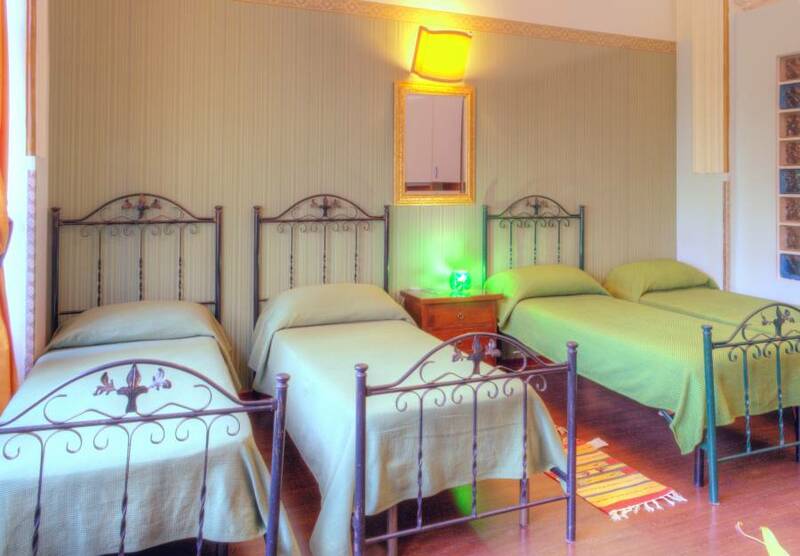 We have twenty rooms with double or single beds. 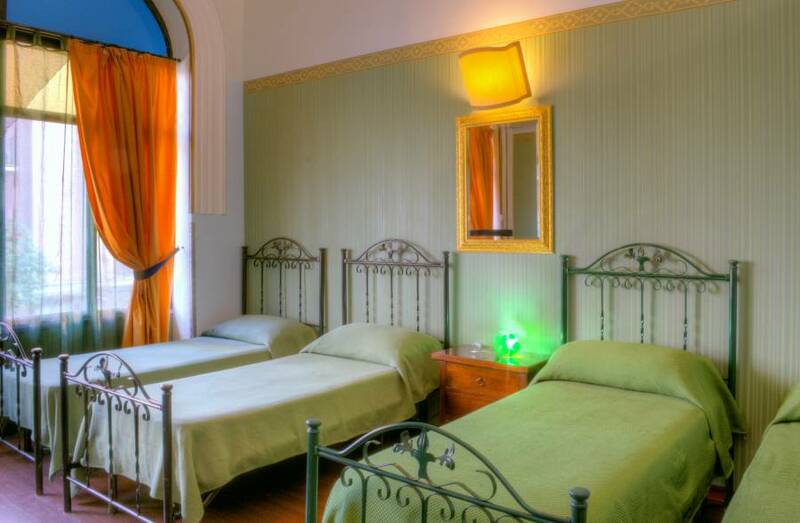 Moreover our offer included familly rooms extra large, and standard rooms. Single , double e, triple, quadruple, quintuple , seste , settime perfect solutions for larger groups And families with children . All rooms with private bathroom ensuite or external. Rooms has Tv LCD and wi-fi. The rooms Standard and extra large rooms. They are single , double, triple, quadruple, quinte, seste, settima, ottava. 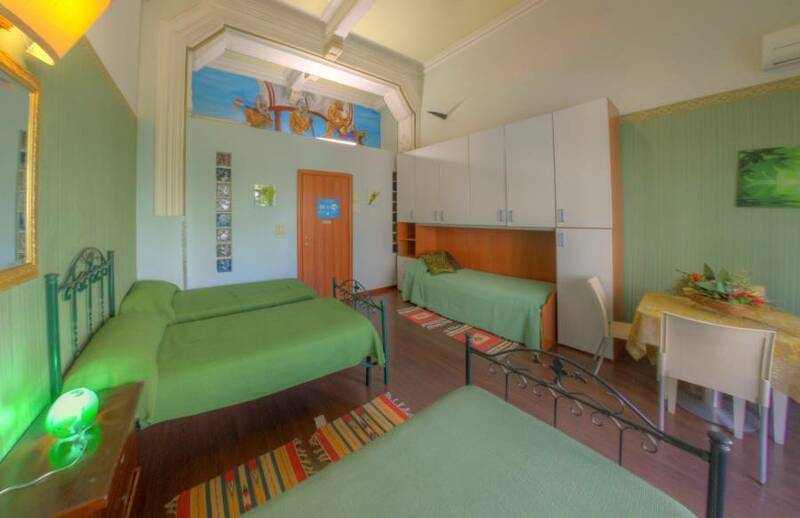 Super large room for small groups or familly for children. All extremaly spacious air-conditioned and heting . Each room has a private bathroom (esternal or ensuite)bathroom with shower and offers aur guests the following services, color TVLCD , mini bar, hair dryer. The Hostel agata is located in the historic center and it is easy reach from the train station , the port, the airport and the highways. Hostel is in the principal street of the city, just steps away from the most important cultural, tourism and commercial sites in the city. Exactly 800 meters in Piazza Ruggero Settimo , one can admire the neoclassico teatro Politeama with the grand arch and the spectacule bronze quadringa on the facade. Opened in 1891 it is second of Palermo, the first begining the teatro Massimo, a few yers after Politeama it soon became the hub of artistic and mundane Palermo life. The oldest part of palermo is on the east side of the city. and here you must pay a visit to the many attractions and museum , nearest beach is located 25m(the bus 101 in frontof hostel)the beach is called Mondello. Prezzi delle camere famigliari si intendono a persona. Short time booking 1-3 days if you wish cancel your booking,you must tell us 24 hours prior your arrival don't comunicate your booking removal within this term. Of if you don,t arrive at the day of booking(no-show) you must pay one night staying! If you wish to cancel your booking you must tell us 7 days before the date of the arrival . If you don,t comunicate your booking removal within,this term or if you don,t arrive at the day of booking(no-show)you must pay 50% of the whole staying! for groups or for reservations of the 3 or more rooms ,we need an account the 30% of the total stay! If you wish to cancel or change your booking ,you have to do 10 days before your arrival !Anyway the account will not refunds! 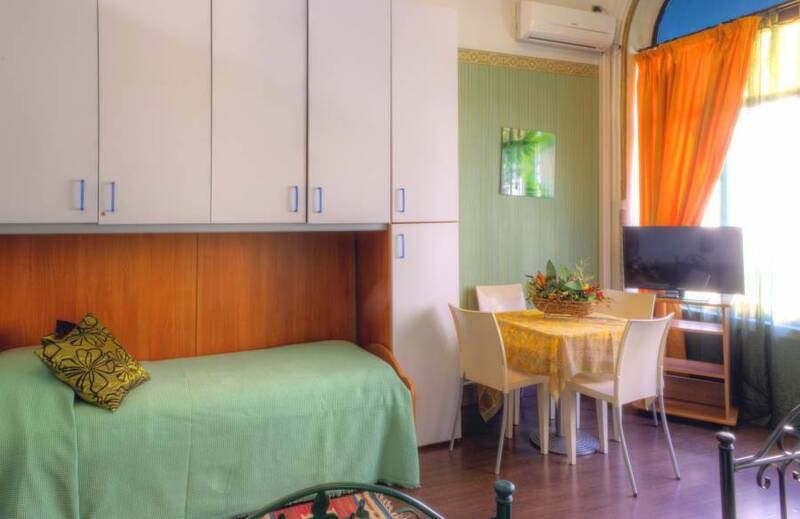 The Hostel Agata is at188 , via Roma in the heart of the historic centre of Palermo, easily reached from the central station wich is only 500 m is also convenient for the bus stop to and from the airport. From autostrada A 19 :take the exit for Via Oreto, following directions for central station and turn onto via Roma until 188. From airport by car follow autostrada A29 towards Palermo, them take bypass (tangenziale)to the exit for via eE. basile and themfollow directions to central Station.